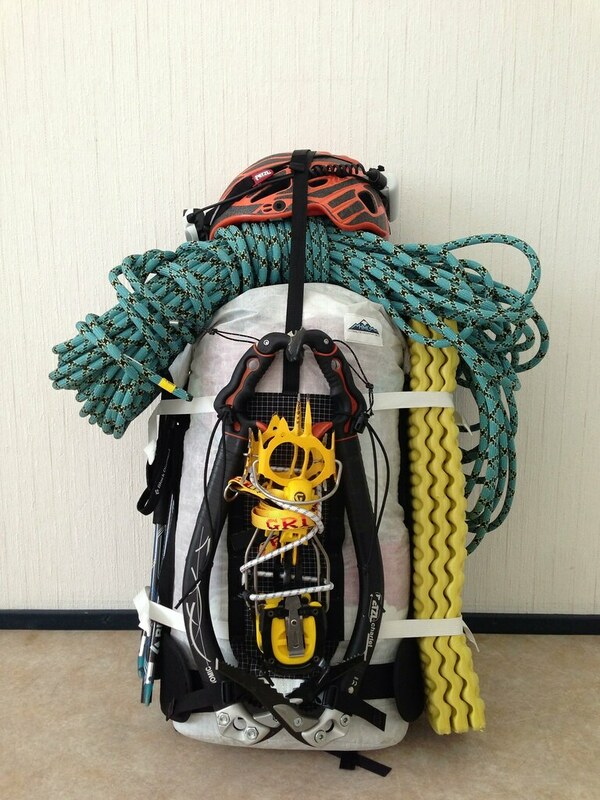 Ice climbing does involve a fair bit of gear. 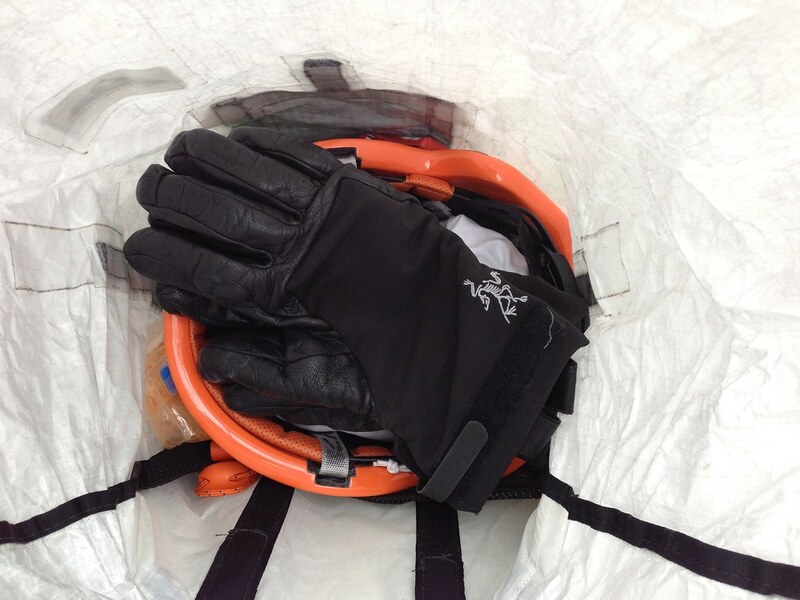 There’s tools and crampons, ropes, screws, a helmet and belay jacket as well as safety gear. You could start each approach wearing all of that gear, or you just could use a lightweight backpack and hike in comfort to the base of your climb. 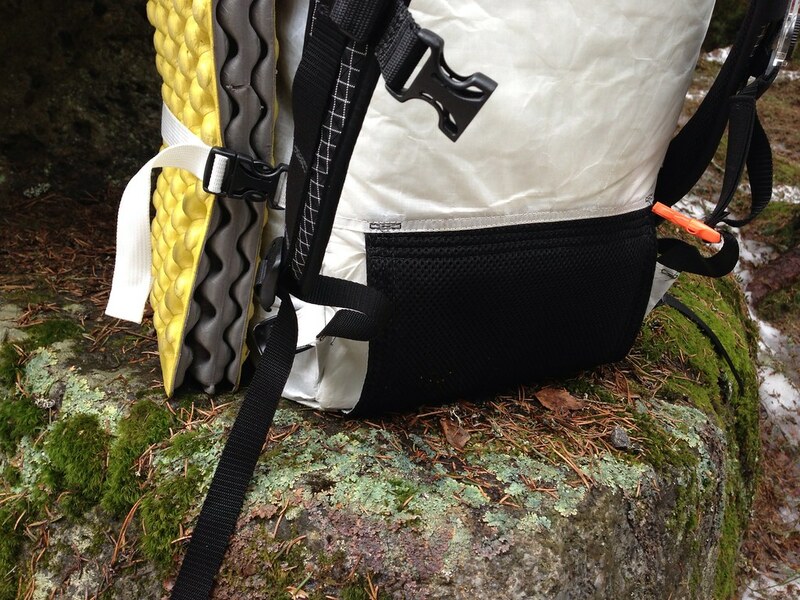 The Hyperlite Mountain Gear IcePack is such a lightweight backpack. A Living Review. I have used the HMG IcePack for six days of ice climbing and dozens of days of walking, hiking and cycling. One of the ice climbing trips was even a fast & light trip, in which I was able to fit all my camping gear plus ice climbing gear in the pack! Overall I have used the IcePack well over a year. 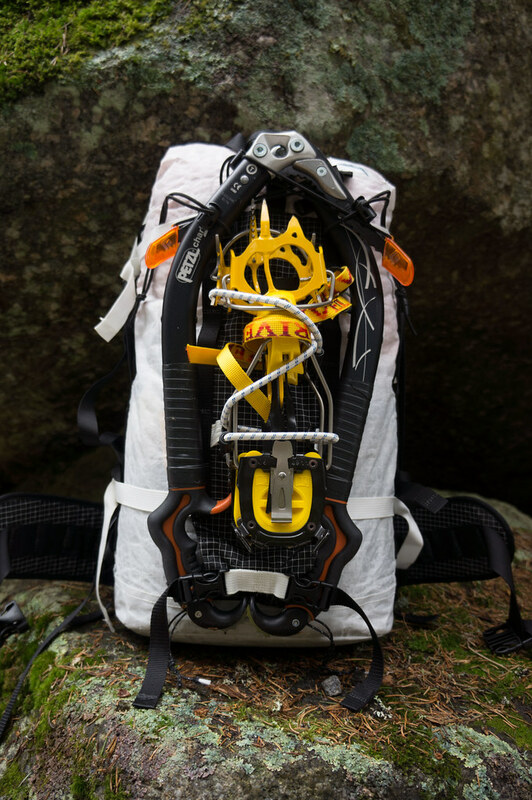 The IcePack allows you to carry all your ice climbing gear, and includes dedicated attachment possibilities for crampons, ice tools, and ropes. 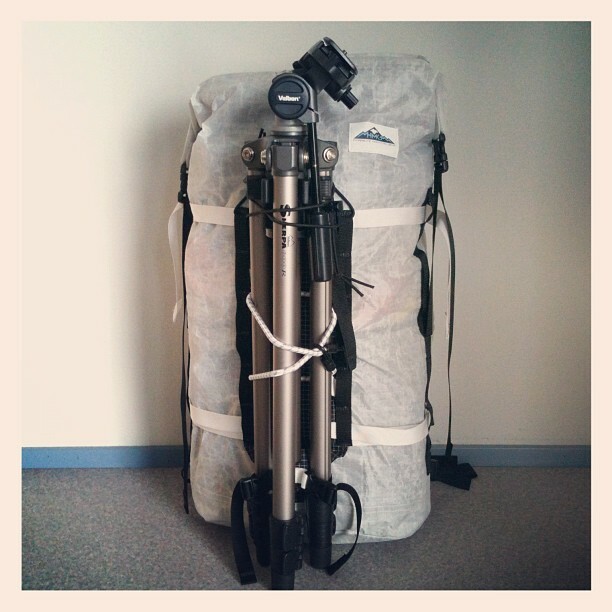 It also works very well for backpacking with camera gear, as the crampon attachment can hold a heavy tripod (mine is 2,5 kg) without problems, and the ice tool straps can hold trekking poles. I’m 175 cm tall and my Size M pack fits me perfectly. If you’re ordering a IcePack it is worth to take the time to measure your back to get the correct length. It’s a completely stripped down pack, which can be modified to suit your needs. 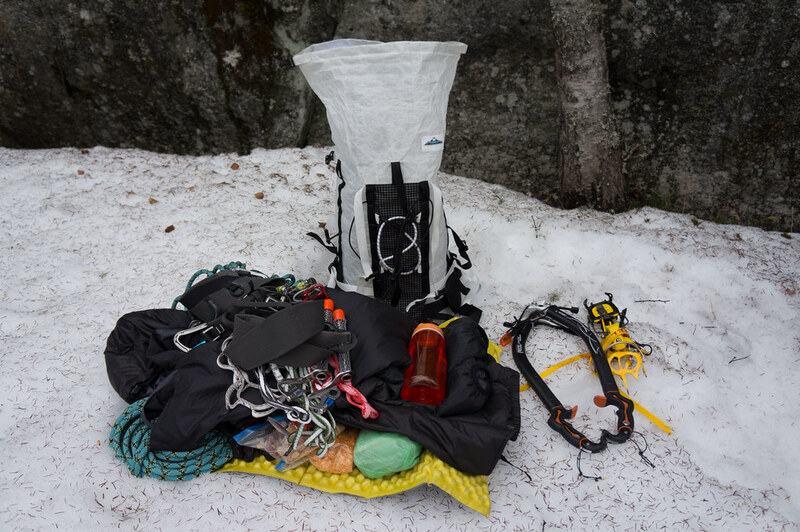 It uses Hyperlite Mountain Gear’s Cuben Fiber/ Polyester hybrid material, and the crampon attachment is unique, too. Overall the innovations in this pack is more in what is NOT there. It’s a high quality pack, though some stitching could use a bit more attention to detail - it decreases the overall impression of what is otherwise a good backpack. 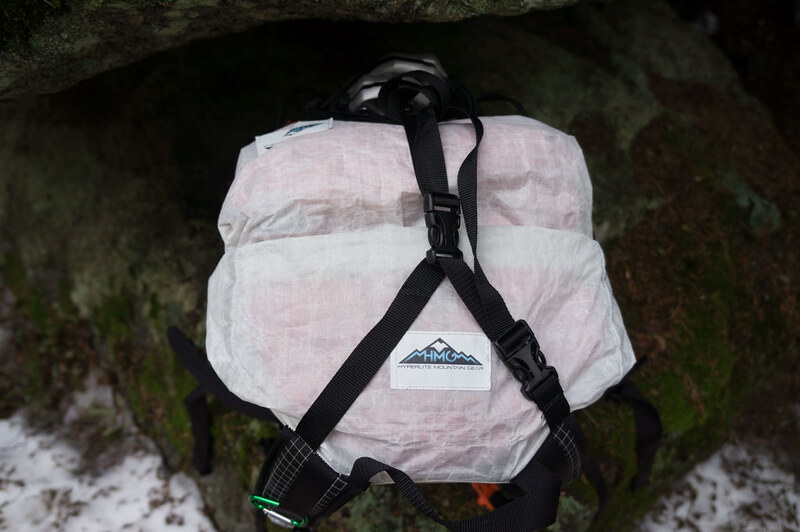 The material is super durable and besides some cosmetic blemishes (mud and tree sap) the pack is still in top condition after over a year of use. 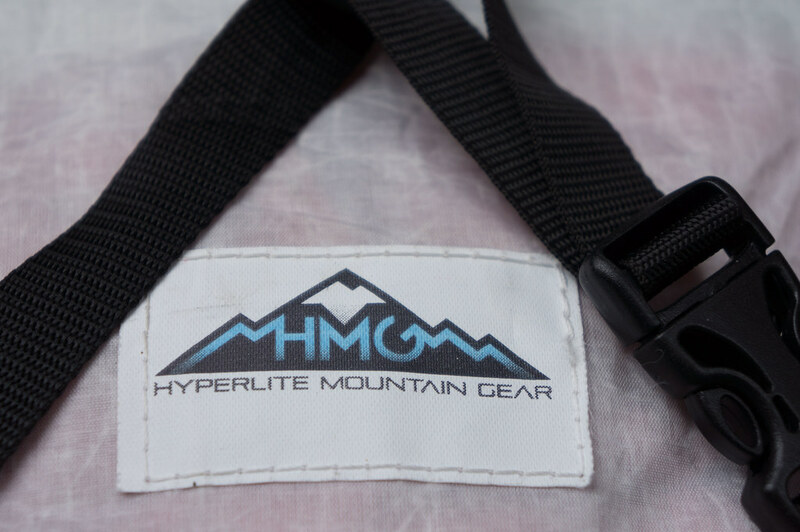 Update May 2013: Hyperlite Mountain Gear informed me that the stitiching has been improved on the newer packs and shouldn’t disappoint anymore. Furthermore, they are now taping the seams of the body of the pack with cuben fiber tape, this further reinforces the stitching and enhances the already very good water resistance of the pack. My preferred setup is without the waist belt, which brings the weight down to 748 gram. The pack is made of HMG’s Cuben Fiber/ Polyester hybrid material and hence is made of oil based materials. Thus it shouldn’t be thrown in the garbage like ordinary rubbish, you could try to either recycle it via your local outdoor shop or inquire from Hyperlite Mountain Gear how to recycle the IcePack at the end of its life cycle. I have used the IcePack more for hiking and cycling than for ice climbing, though it certainly excels for the latter activity. I have an Gregory Alpinisto 50, which should have a larger volume than the IcePack, though it is the other way around: The IcePack with its about 40 l of volume fits more gear, and more easily, than the Alpinisto. 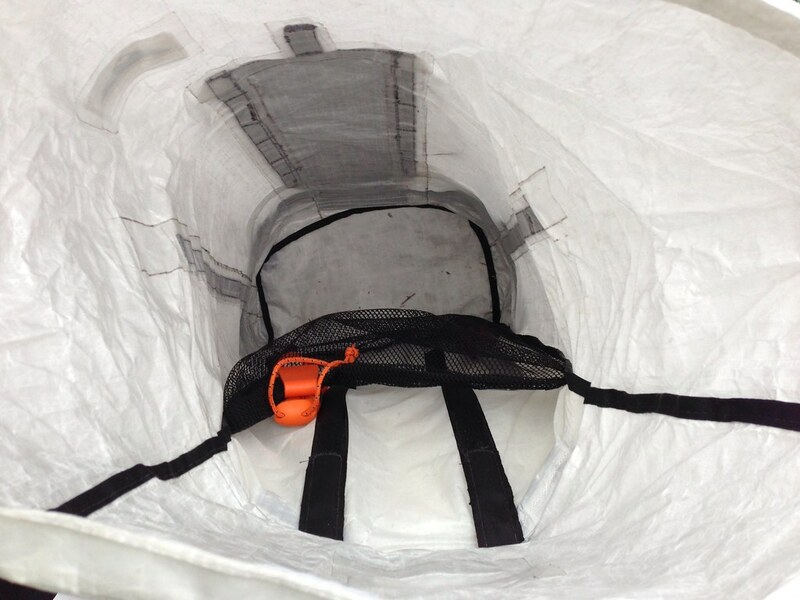 The IcePack also has a large opening and it is easy to pack and unpack. Because there’s no separate internal pocket for small-ish stuff (at least not in my version, it looks like this might have been addressed in the newer packs) it’s not easy to organise in case you want that kind of stuff. The inside mesh pocket is “Meh” and while I haven’t yet cut it out I don’t see much use for it. But packing is rather straight forward: You just pack your gear bottom to top into the pack, close the velcro and roll it closed. Crampons and ice tools fit easily to the front and are very easy to attach, and a CCF pad or ropes can be attached via the top or side compression straps. This makes packing fast and convenient, though if you want a place to store your keys, wallet and cellphone you either should take a small stuff sack for them, or keep them on you. I rarely use the hipbelt, because I feel that even with a heavy rope and a full pack it’s not needed, hence I detached it. The pack carries with the stays very well, and while with a light load and without the stays it still is good to carry you gain a lot of extra carrying comfort with the stays, so I always have them in. On the trip to Korouoma I carried about 10 kg of gear in it, and it was still perfectly fine to carry without the hipbelt and just using the padded shoulder straps. HMG advertises that the gear loops on hip belt can be used for racking carabiners or ice screws, but for ‘biners the loops are rather tight and wide so I wouldn’t bother with it - they’re too difficult to get in or out, unless you want to attach them permanently for racking gear or use Ice Clipper ‘biners - then . 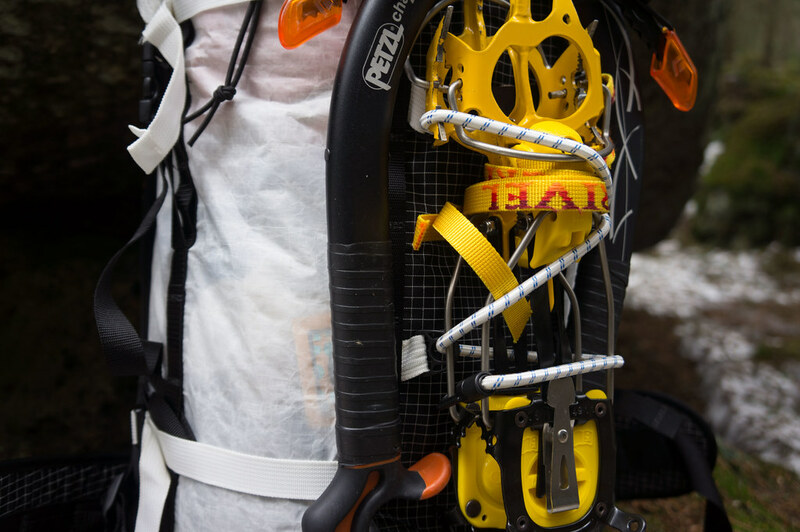 If you use the Petzl ice screws with the flute storage, then racking them on the hipbelt is easy, though I prefer to rack all gear on my harness. 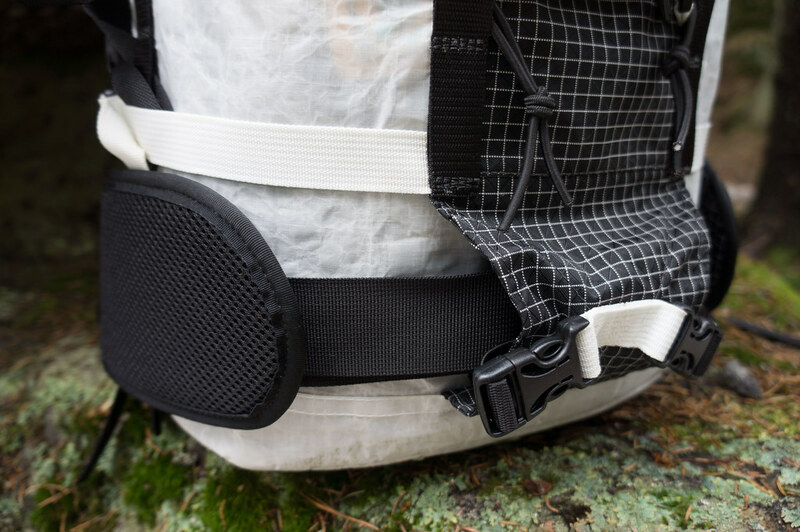 I haven’t climbed with the backpack on, though, so if you climb very long multi-pitch routes you might find the hipbelt’s storage possibilities useful, though on the other hand the hipbelt might get in the way with your harness. 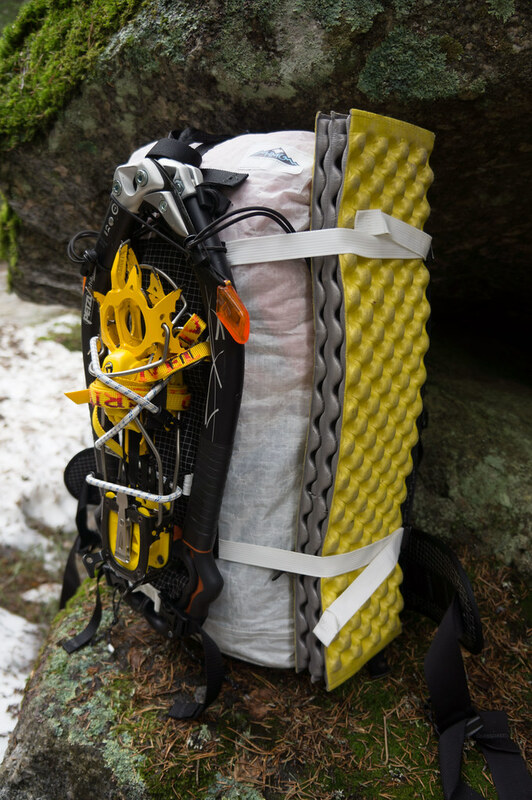 There are heaps of ice climbing specific packs available, but only a few which are truly lightweight. McHale makes exclusively custom-made backpacks which are raved about by their owners, and CiloGear’s WorkSacks also have been very positively reviewed. The KS Alpisack is an ultralight climbing pack Made in Japan, and also some European companies like CAMP, Grivel and Crux produce lightweight backpacks. From the big players Black Diamond and Mountain Hardwear make very good and light climbing specific backpacks. 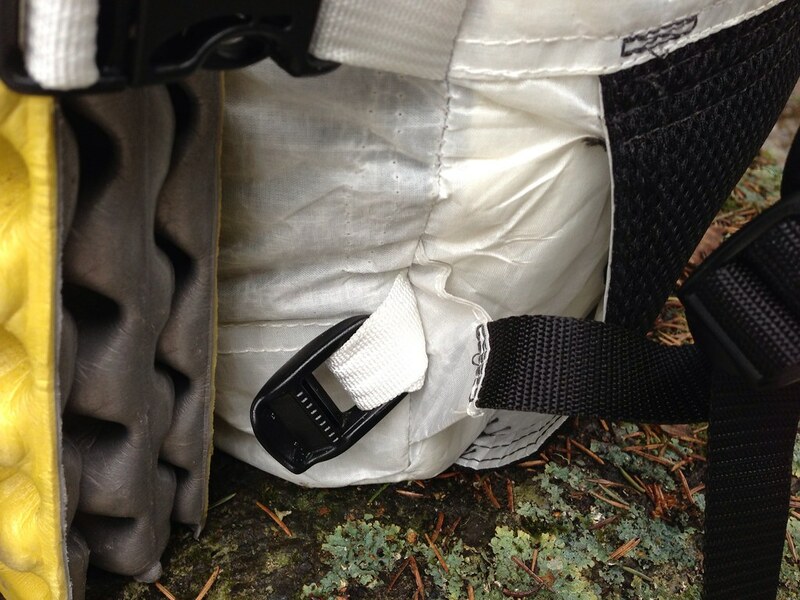 Nick has put his HMG IcePack through a lot of climbing and hiking, and finds it superb. Amy likes the IcePack for its major reduction in weight, and Kai liked his pack so much that he bought a 2nd one. Finally, the Outdoor Gear Lab gives it 4 Stars. Overall it’s a great pack in use: At the base of a climb or the start of the approach you easily can get your crampons and tools off the pack, and they’re as easily attached back to the backpack after a climb. The rather big storage of the 2400 cu model is big enough for fast & light climbing & camping weekends as well as for backpacking trips and the pack carries extremely well thanks to the stays. While the padded back is minimal it does the job well. The IcePack is very durable and takes the abuse from sharp tools and crampons without problems, and the material is thus far 100% waterproof - in neither rain nor snow the gear inside got wet. 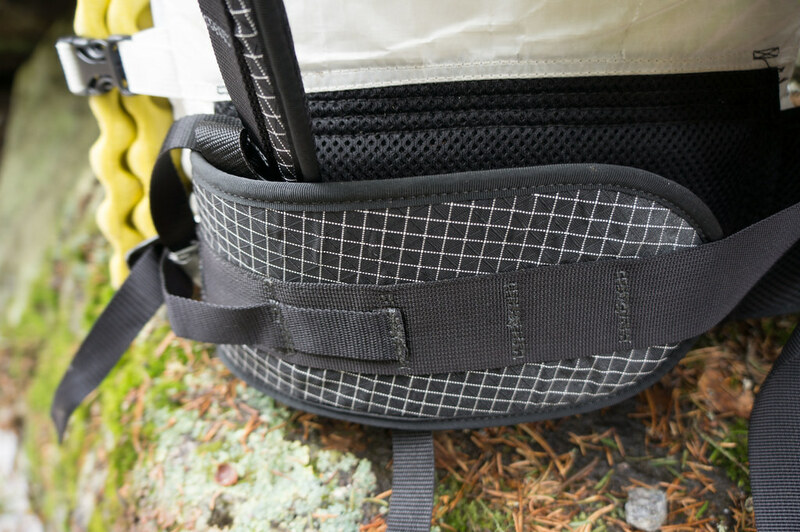 It is easy to attach gear to the outside to the backpack: The side compression straps with their buckles can hold a Z-Lite or thin CCF pad, and the top Y-Strap keeps your rope and helmet in place. A couple of points of improvement would be to pay attention that the stiching is top everywhere, the option for a side pocket to easily store a Thermos flask, and a zippered inside pocket for small items. 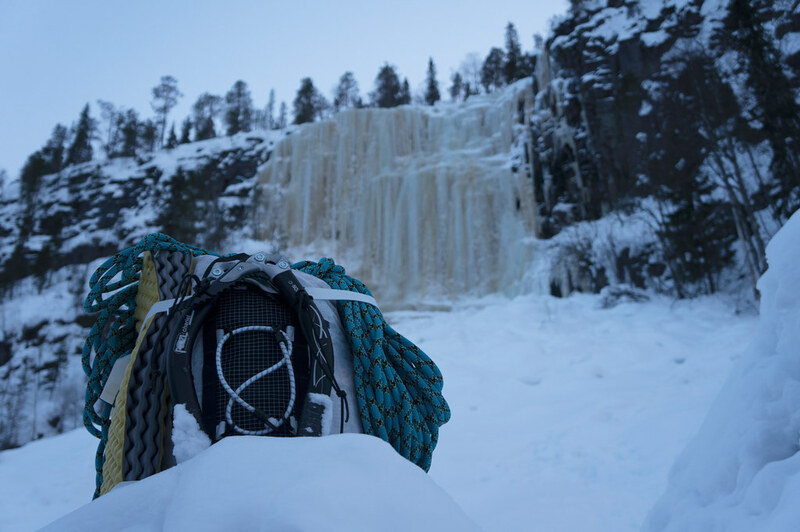 Other than that the IcePack is my top choice for ice climbing trips, as I value its great carrying capabilities while still being lightweight.